The conference has a long list of peripheral events that occur around the main event. This year there were some excellent opportunities to visit some of Perth’s finest recent projects. 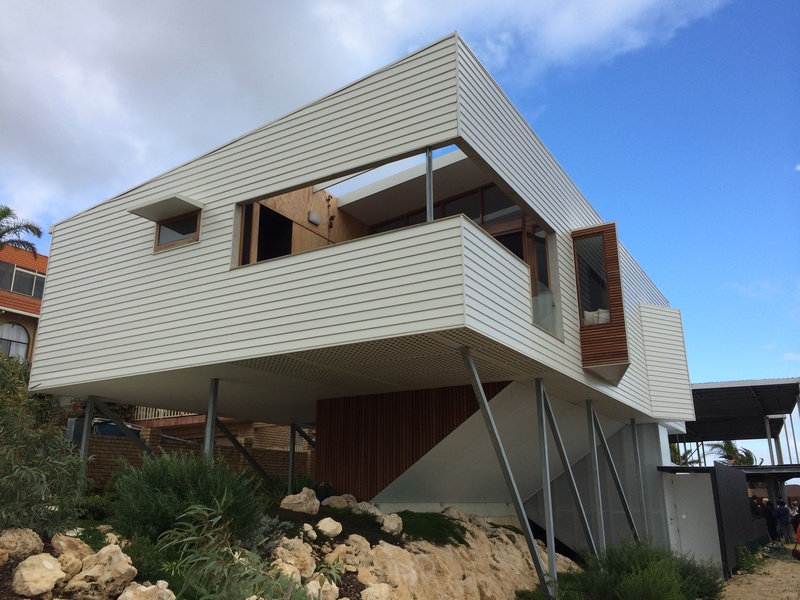 The first project on the southbound tour was the Beach Road residence by David Barr Architect. As David explained, the concept was to take on board some of the qualities of the beach shacks that were common in the area but are now being slowly replaced. Perched on the side of a gently sloping hill the majority of the house is lifted onto the first floor where it can make the best use of the view. The robust materials and the clever detailing made this home a delight to visit. Our next stop was Bellevue Terrace by Philip Stejskal Architecture. This project was a modest but very carefully considered addition to a heritage terrace home. Designed for a client who is himself very design literate, this project redefines what an outdoor pergola structure can be. The alteration of this home has clearly reconnected the home with its private garden by reorganising the space. The indoor-outdoor pavilion enables the occupant to operate a series of awning panels to open the space up or close it off from the elements. 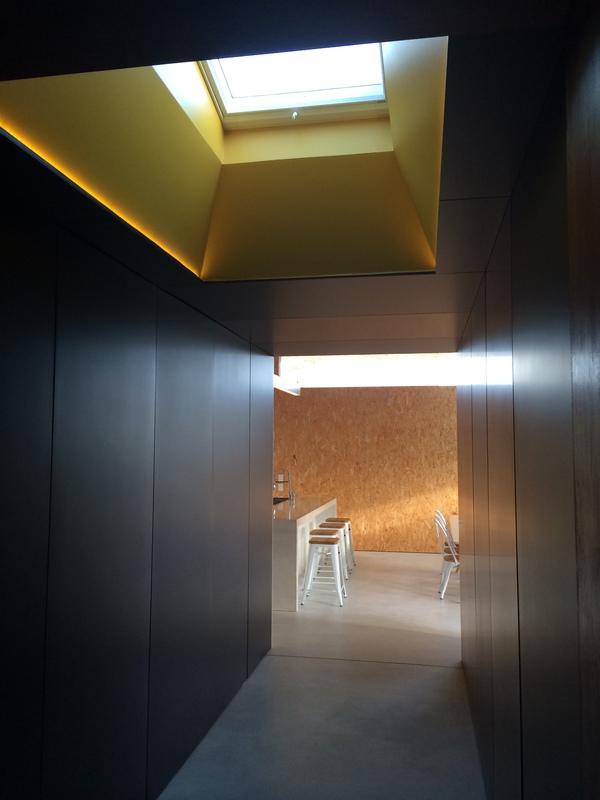 Our final stop on the residential tour was Yeovil Crescent by David Barr Architect. 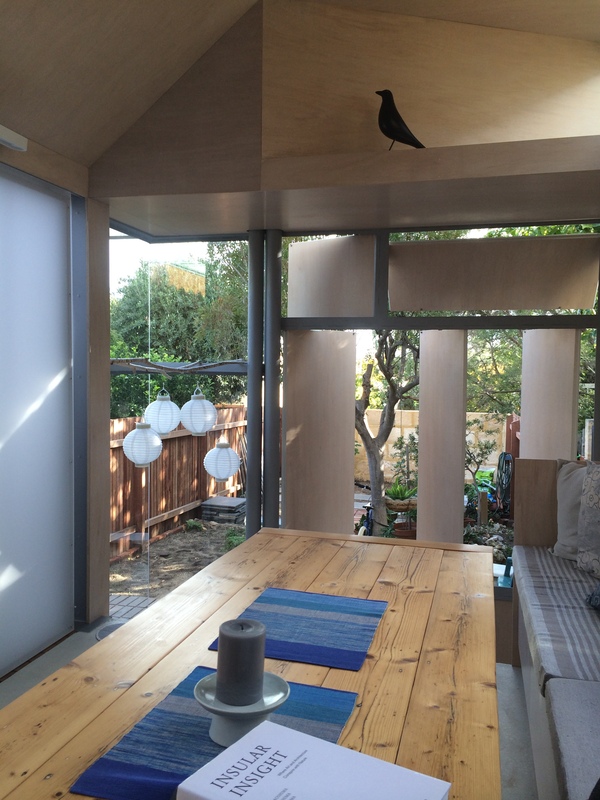 This project used innovative Structurally Insulated Panels (SIPs) to create a contemporary living zone at the rear of a federation era heritage home. Connecting the new from the old is a purposefully dark hallway that is lit only from a feature skylight above. The transition through this space makes the new living areas appear instantly bright and spacious. The interior has been left stripped back with a polished concrete floor and the warm tones of the oriented strand board from the SIPs on the walls. Similar to the Beach road residence this home had a robust liveable feel internally, whilst also having a lightness to its structure. As interesting as these residential projects were, the highlight of the day had to be the Making 2014 opening party and in particular, the majestic State Theatre Centre by Kerry Hill Architects. The experience of walking through such an extraordinary space left me lost for words. A magnificent staircase leads the occupant through a sensory experience, rich in every sense of the word. At the top of the stair one is compelled to look back at the space that has just been traversed if only to take in the full impact of the double height space. The materials used to form the collection of spaces was both warm and refined. For anyone visiting Perth it is a must see building. To have the opportunity to experience it filled with some of the best architects in Australia was extraordinary. It was a superb location to officially open the National Architecture Conference. 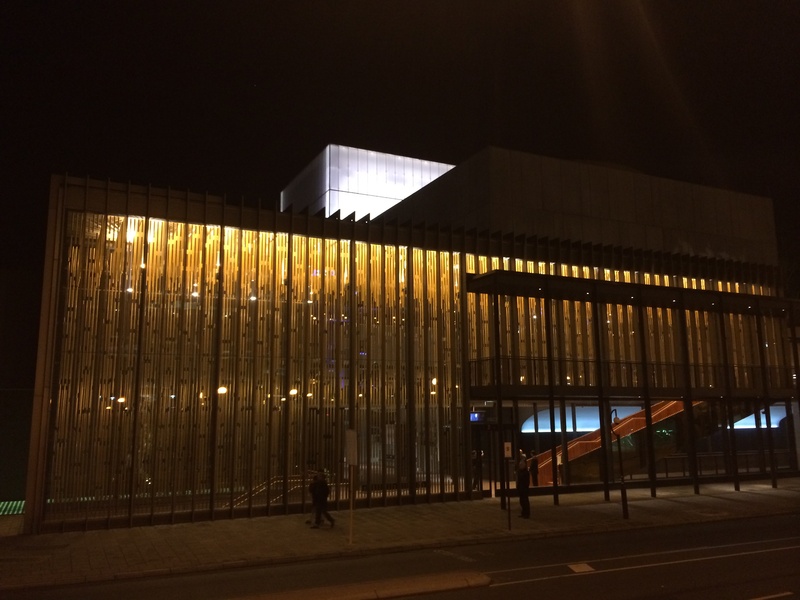 This entry was posted in 2014 Architecture Conference, all posts, construction industry, News, Uncategorized and tagged Bellevue Terrace, David Barr Architect, Kerry Hill Architects, National Architecture, Philip Stejskal, State Theatre Centre. Bookmark the permalink.